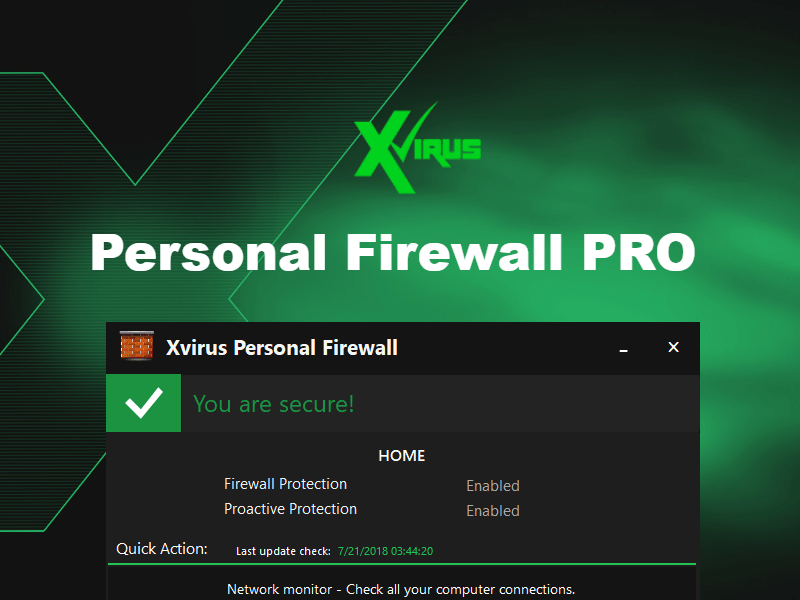 Xvirus Security is a project that started in 2010. Our objective is to provide to consumers with simple but powerful products to keep their computers protected, clean and at top performance. With many awards and thousands of downloads, we are growing and providing better and better products everyday! Help us by suggesting improvements to our products or referring them to your friends and family, so you are sure they are surfing the internet protected and they are happy with their computer at top performance. designed as a simple application that enables the user to check all active connections and control which are granted access or not.